Of course, there’s only one person I could post to follow Richard Greene. 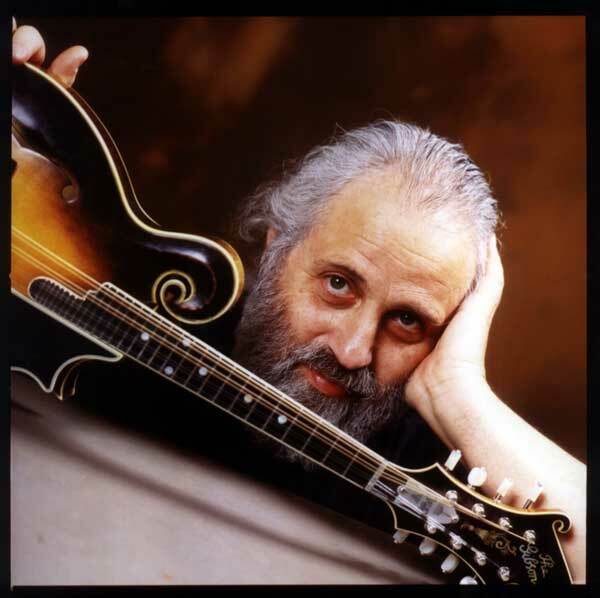 His compatriot and co-inventor of newgrass, David “Dawg” Grisman. While his chops on mandolin are undoubtably godlike, to me his most enduring worth is as a composer and innovator. There were a great many experiments with combining the worlds of bluegrass and jazz, many of which you have heard through The Grapevine. But it was the sound of the David Grisman Quintet that defined the sounnd of newgrass (also called “Dawg” after Grisman), and cemented his role as lord-king-godhead of the genre. Like Miles Davis, he turned a generation of people onto a musical form, and like Davis or Zappa, you can be pretty sure that everyone who works with him will at some point become a bandleader or legendary musician in their own right. Also, like Miles Davis, his involvement with the world of rock (and Jerry Garcia in particular) brought him a lot more fame than equally skilled and important people like, oh, Richard Greene. He has also shown himself to be an endlessly inventive and restless explorer of other kinds of music (avantgarde jazz, Jewish/klezmer, rock, gypsy jazz, blues, world music, etc. ), all without abandoning his bluegrass roots. He has never been one to rest on his laurels or just play his ‘hits’. As a producer/record-label-founder, he has been equally important in recording and re-releasing important acoustic artists, and generally furthering the cause of that much-maligned tiny double-strung lute, the mandolin. But back to his compositions: so many of them, especially from his early days, have an intensely driving but directionally open quality which renders them simultaneously graceful, powerful and unexpectedly exciting. In a word, timeless. 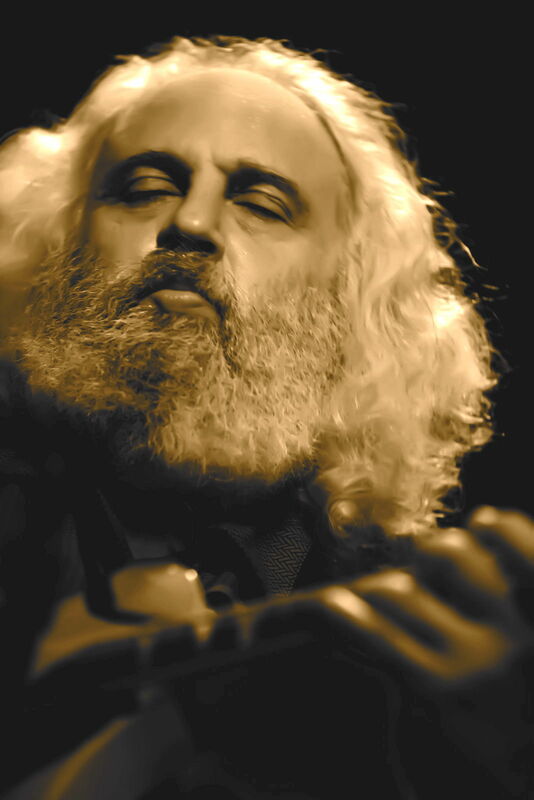 For nearly 40 years, mandolinist/composer David Grisman has been busy creating “dawg” music, a blend of many stylistic influences (including swing, bluegrass, latin, jazz and gypsy) so unique he gave it its own name. In doing so, David has inspired a whole new genre of acoustic string instrumental musicówith style and virtuosity while creating a unique niche for himself in the world of contemporary music. Dubbed “The Paganini of the Mandolin” by the New York Times, David has been praised for his mastery of the instrument as well as his varied talents as a composer, bandleader, teacher and record producer. After recording for several major labels, Grisman founded his own company, Acoustic Disc, which he runs from his studio in northern California. Upon launching the label in 1990, David entered the most prolific period of his distinguished career, producing 45 critically acclaimed, high quality recordings of acoustic music (five of which have been nominated for Grammy Awards). David’s interests spread to jazz in 1967, while playing in the folk-rock ensemble, Earth Opera. A failed attempt at learning to play the alto saxophone turned him into a lifelong student of jazz musicianship and theory. In the meantime, his burgeoning career as a session musician gave him experience playing various other types of music and opportunities to stretch the boundaries of the mandolin. Today his discography includes recordings with Bela Fleck, the Grateful Dead, Stephane Grappelli, Emmylou Harris, Chris Isaak, Dolly Parton, Bonnie Raitt, Linda Ronstadt, Earl Scruggs and James Taylor. David’s unique instrumental style found a home in 1974 when he formed the Great American Music Band with fiddler Richard Greene. “Nothing against singers,” said David, “but it became apparent to me that I could play 90 minutes without one. Besides, Elvis never called.” Within that year, Greene moved on to join a pop act, and David met guitar wizard Tony Rice, who moved to California where they started rehearsing a new group, the David Grisman Quintet, which also included bassist/mandolinist Todd Phillips and violinist Darol Anger. The rest is string band history. Since its auspicious debut in 1976, the DGQ has won numerous polls and awards and has headlined at major jazz, folk and bluegrass festivals around the world. DGQ alumni (including Tony Rice, Mark O’Connor, Mike Marshall and Darol Anger) have gone on to establish successful careers as leaders of acoustic music. Current DGQ members include bassist Jim Kerwin, multi-instrumentalist Joe Craven, flutist Matt Eakle, and Argentine guitarist Enrique Coria. In 1990, David founded the Acoustic Disc label with his friend and manager, Craig Miller, and two other long-standing friends from New York, Artie and Harriet Rose. To date label has released 45 CDs, including five with Jerry Garcia, all produced or co-produced by Grisman. David has always been a pioneer. He continues to deeply influenced several generations of musicians through his own musical explorations, and with the blossoming success of Acoustic Disc has helped make artist-owned independent labels a viable force in the modern music business. 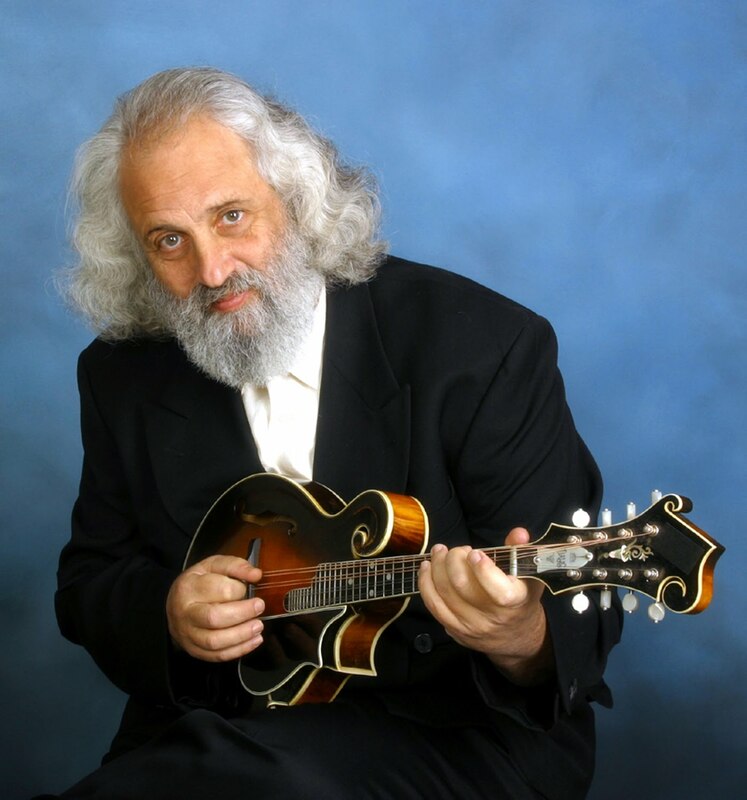 David Grisman is normally associated with the bluegrass wing of country music, but his music owes almost as much to jazz as it does to traditional American folk influences. 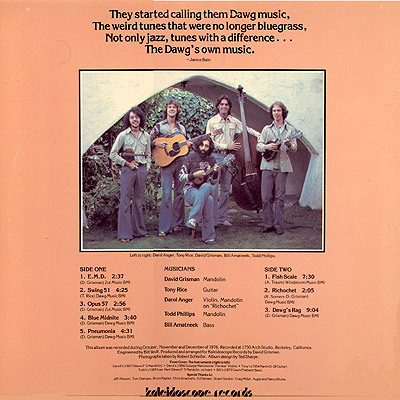 Because he couldn’t think of what to call his unique, highly intricate, harmonically advanced hybrid of acoustic bluegrass, folk, and jazz without leaning toward one idiom or another, he offhandedly decided to call it “dawg music” — a name which, curiously enough, has stuck. A brilliant mandolinist, with roots deep in the Quintet of the Hot Club of France, Grisman’s jazz sensibilities were strong enough to attract the admiration of the HCQ’s Stephane Grappelli, who has toured and recorded with Grisman on occasion. Grisman was already playing the piano, saxophone, and mandolin by the time he was a teenager, taking up the latter at age 16. While attending New York University in 1963, he began playing with the Even Dozen Jug Band, which at one time included Maria Muldaur and John Sebastian. In 1966, bluegrass bandleader Red Allen invited Grisman to join his Kentuckians, and the following year Grisman joined Peter Rowan in the progressive-minded Earth Opera, which blended folk, country, rock, pop, and jazz. After two albums, he moved to San Francisco and hooked up with Jerry Garcia, playing on the Grateful Dead’s classic American Beauty. He went on to play in Garcia’s bluegrass side project, Old & in the Way, along with Peter Rowan, who also reteamed with him in the loose all-star group Muleskinner. In 1974, Grisman co-founded the Great American String Band with Muleskinner fiddler Richard Greene, which first allowed him to explore the lengthy instrumental improvisations that would become his trademark. Greene didn’t stick around for too long, and in 1976 Grisman assembled a new group dubbed the David Grisman Quintet, which featured guitarist Tony Rice, fiddler Darol Anger, bassist Joe Carroll, and mandolinist/bassist Todd Phillips. The Quintet’s self-titled debut was released in 1977 on Kaleidoscope and proved a seminal influence on the so-called “newgrass” or “new acoustic” movements, thanks to its progressive, jazz-fueled harmonies and improvisations. The follow-up, 1979’s Hot Dawg, was Grisman’s breakthrough album; it was released on A&M’s jazz imprint, Horizon, and featured guest work by jazz violin legend Stephane Grappelli. By this time, there was already personnel turnover in the Quintet; mandolinist Mike Marshall joined up, and by the time Grisman moved to Warner and recorded Mondo Mando in 1981, bassist Rob Wasserman and violinist Mark O’Connor joined Rice, Anger, and Marshall. In all, Grisman recorded four albums for Warner over 1980-1983; 1982’s Dawg Jazz/Dawg Grass was another notable outing with Grappelli that, true to its title, split its repertoire between swing and bluegrass. By 1984, the original “dawg music” lineup had largely broken up, with most of the members moving on to productive solo and/or collaborative projects (Anger notably joined the Turtle Island String Quartet). Grisman played on a number of sessions in the meantime, including with jazz-minded banjo virtuoso Béla Fleck, who claimed Grisman as a major influence. In 1985, Grisman organized a new group with seasoned jazz musicians: bassist Jim Kerwin, guitarist Dimitri Vandellos, and drummer George Marsh, who backed him on a 1987 duet album with jazz violinist Svend Asmussen, Svingin’ with Svend. The more traditional bluegrass outing Home Is Where the Heart Is followed in 1988, before Grisman formed his own Acoustic Disc label in 1990 and got much more prolific. A steady stream of releases appeared on Acoustic Disc during the first half of the ’90s, starting with Dawg ’90, which debuted a new core group that included Kerwin, fiddler/drummer Joe Craven, and flutist Matt Eakle, as well as returning alum Mark O’Connor, guitarist John Carlini, and fiddler Matt Glaser. Other notable releases included a 1991 reteaming with Jerry Garcia and two albums of Tone Poems (i.e., duets with Tony Rice and Martin Taylor, respectively). Argentine guitarist Enrique Coria joined the lineup of Grisman, Kerwin, Craven, and Eakle for 1995’s Latin-flavored Dawganova. Grisman entered another productive period in 1999, issuing several widely varied projects, and reconvened that quintet for 2002’s Dawgnation. A collection of collaborations with other bluegrass musicians recorded over three decades, Life of Sorrow, was released in 2003 by Acoustic Disc, followed by New Shabbos Waltz, a collaboration with Andy Statman, in 2006, also on Acoustic Disc. 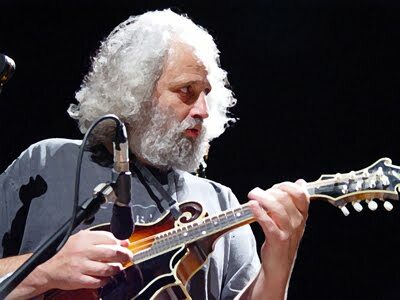 David Grisman is primarily known as a (perhaps even the) pioneer integrator of jazz into the prog-bluegrass/newgrass/whatever-you-call-it (“Dawg Music” to Grisman) branch of the bluegrass family tree. And with a number of other suspect jazz dabblers (fiddler Vassar Clements, guitarist Tony Rice, and banjo picker Tony Trischka, for instance) on hand, one might expect The Rounder Compact Disc (originally released as The Rounder Record) to be a Grappelli-sounding crossbreed experiment in line with Grisman’s longstanding quintet. Yet, despite some string-slingin’, fancy-licked solos, The Rounder Compact Disc is really a true blue bluegrass record. Why, this record has enough gospel harmonies, Bill Monroe songs, stories of money lost on spend-thriftin’ women, string sawin’, and other neat-sounding contractions to keep even your most die-hard hillbilly warm as a mug of Grandpappy’s moonshine on a cold Kentucky night. The tricky thing, the “how’d he do that?” part, is that in addition to (in spite of?) it’s unabashed down-home country feel, this album is anything but traditional. Instrumentals like “Waiting on Vassar,” “Op. 38,” and “Boston Boy” integrate a complex network of orchestral voicings, solos, and interactive group play, and throughout the album solos by hotshots like Clements, Rice, Jerry Douglas, and Grisman himself betray more than a passing interest in other styles of improvisation. In the coming years, the experimental wings of bluegrass would begin to incorporate electric instruments and more overtly bear the influence of jazz and rock. But The Rounder Compact Disc is some of the earliest evidence that bluegrass can be progressive without sacrificing any of its institutional twang. For those unfamiliar with “Dawg” music it’s a little from column A and a little from column B. A basis in bluegrass with an affinity for jazz and then a whole lot of heart and soul thrown in for good measure. The instruments themselves, with their history and patina of age, could stand alone as the stars here were it not for the clever hands playing them. Each player giving his all and carefully avoiding the feet of his fellow dancers. Grisman may write the letter, but it takes all five members to deliver it successfully. The cover photos, simple as they may be, capture all you need to see. The quintet don’t hold back much, what you see is pretty much what you get. 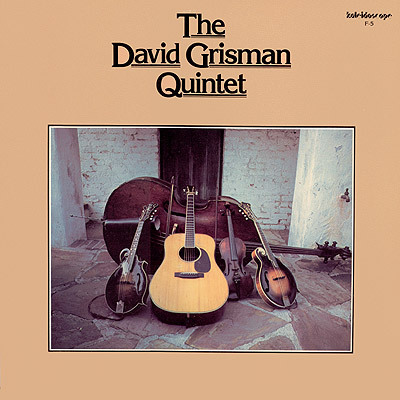 The David Grisman Quintet’s eponymous debut was a stunning achievement, capturing a pivotal point in newgrass history. It was a record that opened up new rhythmic textures and instrumental textures, specifically new, jazzier ways to solo. Grisman — who wrote the majority of the compositions — arranged each number as a way for his quintet to shine instrumentally, as a way for each musician to demonstrate their innovative skills. It’s not traditional bluegrass — these instrumental recordings draw as equally from folk, rock, and jazz as they do from bluegrass — but it was a thrilling new variation on the form that broke down countless doors for the genre. how many scales on a fish? 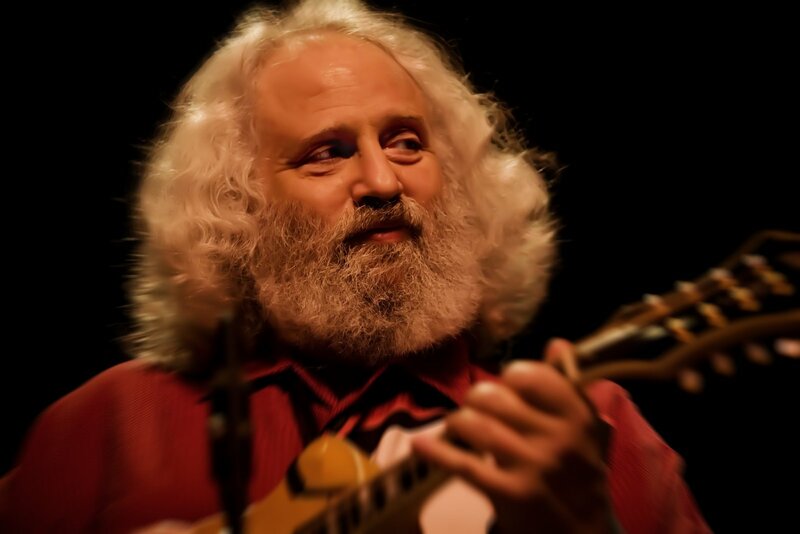 Throughout his career, mandolinist David Grisman has performed music that crosses between many boundaries, from “new acoustic” folk to bluegrass and swing-oriented jazz. This set features Grisman’s string group (which also includes violinist Darol Anger, Mike Marshall on mandolin, guitar and violin, Mark O’Connor on violin and guitar, and bassist Rob Wasserman) playing six of Grisman’s diverse originals, an obscure tune, and a brief rendition of John Coltrane’s “Naima.” The music is excellent, but Grisman’s more jazz-oriented projects would be in the future. the best album of the 80s? This is also about as far to the margin as David Grisman’s Dawg music ever got. pretty interesting stuff, i’d say, with great titles. A unique document in the history of mandolin music. Fearless mandolinists Grisman and Statman perform spontaneous, unrehearsed improvisations on their original compositions. Mandolin Abstractions finds the common ground between Grisman’s clean, melodic style and Statman’s skewed juxtaposition of Middle Eastern and European influences. All these albums are rare, out-of-print, or generally less available than his current releases. I hope you enjoy this introduction to his music, and be sure to head over to Acoustic Disc and buy albums directly from him to support his lifelong dedication to music. also see his duet with Svend Asmussen here and his albums with Muleskinner here. This entry was posted in bluegrass, jazz, mandolin, seeds. Bookmark the permalink. 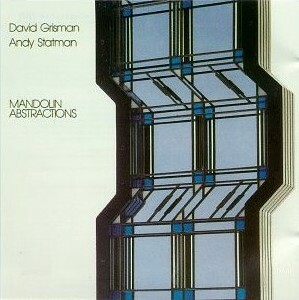 As a mandolin player myself, Grisman is a huge hero of mine, *BUT* I must say that Mandolin Abstractions rates with Lou Reed's Metal Machine Music in its unlistenableness. It is a truly dreadful album. Completely self-indulgent nonsense, nothing brave or adventurous about it at all. I am sure it was great fun to record and play – free music usually is – but for the listener? No. oh, i dunno. I'd say as far as free albums go it's one of the most listenable ones out there. 'Two White Boys Watching James Brown at the Appollo' an 'Ode to Jim McReynolds' are consistently tonal and rhythmic. Other tracks are visceral and evocative in a nearly orchestral sense. And yes, it's definitely Grisman's most dense and 'difficult' album but it's much more beautiful and accessible than some stuff out there, if only for the sheer beauty of the acoustic instruments. Listening to it again I actually really appreciate the interplay that goes on between Andy and David and the continual build-up and release of tension. And one of the purposes of this blog has always been to draw together the roots and the fruits with the seeds and branches, so sometimes you get folks like Tom Cora, Harry Partch, and Andy Statman. At some point, if you give it some attention and an unprejudiced mind, the music might start to grow on you. How wonderful would that be? no, there are only 8 on this version because it's the vinyl. they probably released some bonus tracks on cd but the tracklist I printed is correct for the vinyl version. Wow, fantastic post. Many thanks. I love almost everything Grisman has done but nothing as much as the first Grisman Quintet album. Tracks like EMD are simply perfect. Ok, i treasure the Garcia/Grisman albums as much as that first Quintet record, but that's another story, 'cause of Jerry's presence. Btw it's astounding how good Jerry sang and played on these sessions with Grisman at a time when his music with the Dead often was, well, anything but great. Some of the later Dawg albums tend to get a bit to slick for my ears. Which is probably more a question of the production than the music. Never heard that Rounder and that Abstractions album. Really looking forward to them. Grisman playing free? Sounds promising to me! I cannot get the links to work. Are you sure they are working properly? Any advice on how to download these albums would be gratefully recieved. For me David Grisman is the Bee's Knees. hmm… it seems someone has objected to my posting of them and asked rapidshare to remove them. The duet with Andy Statman still works at sharebee, at least with its Megaupload link, and I'll see what I can do about the others; check back in the comments. Thanks for your speedy reply, I'll keep a look out. Hope your successful. Note the change in my password. And if whoever deleted the first ones is reading this, please: if you object to something I post, let me know and I'll take it down myself. None of this behind-my-back stuff, it's just a hassle for both of us. Thank you so, so much for your trouble. I've been playing guitar for some years and have recently taken up mandolin. 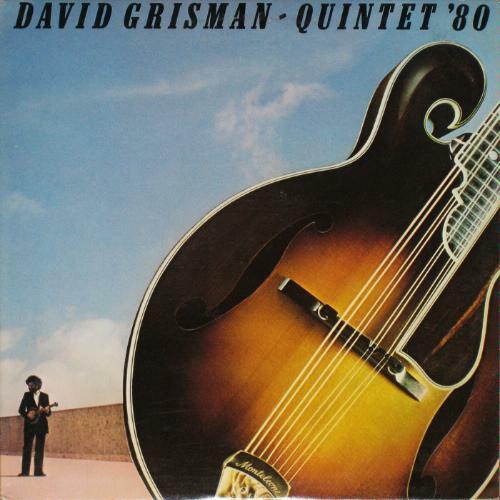 I think David Grisman is essential listening. Thanks again, may your crops flourish and your camels multiply. I'm pretty firmly in the pro-Abstractions camp myself. I'd heard some Grisman, but that really makes me want to check out some more. Could you recommend anything he's done that's leaning in that direction? I'd hesitate to call it Free, let's just say improvised. Thanks for all your work, i love the writing. And he hasn't really ever returned to that territory again, at least that I know of. He recorded another album with Andy Statman called New Shabbos Waltz, but that's more Jewish stuff rather than avant. I guess the closest he came was with pianist Danny Zeitlin, called New River. That's fairly cerebral and jazzy, but also beautiful and quite tonal. Thanks for the heads up, I'm taking a look for the New River album now!